Just got home and had time to type up some thoughts from the 5 days of Spring Training I saw. 1) Do not read too much into 1 week of Spring Training, when there was only 1 day of live batting practice thrown by pitchers (and for 3/4 of those, the hitters weren't even swinging), and other batting practice is being thrown at 40 feet. 2) The Mets players were really accessible all week, doing a great job signing for the fans and interacting with them as much as possible (as you'll see below). If you wanted to, you could have gotten the entire starting line-up. 3) Frank Viola, who has worked with a lot of the minor league pitchers over the past 3 years (started with the Cyclones in 2011), really works hard, is very informative, and the pitchers listen and respond to him. I'd love to see him as the next pitching coach for the Mets (he'll serve the same role in AAA Las Vegas this year). 4) Based off the one day I was able to see, Anthony Seratelli (Old Bridge, NJ product), is a very similar player to Omar Quintanilla. Nothing flashy, but more times than not, gets the job done. Again, it's very difficult to assess a person's true talent based off of 5 minutes of infield drills. 5) Wilmer Flores bounced back and forth between 2nd base and SS, starting at 2nd base with the back up group of infielders, with assistant GM JP Riccardi, owner Jeff Wilpon, and manager Terry Collins looking on. He didn't show anything bad, but again, very difficult to make a judgment off of 5 minutes of infield. 6) C Puello continued to hit the ball hard during his round of BP, and hopefully he's able to put the biogenesis scandal behind him. 7) Ike Davis, for all the talk that he's "quieted down his swing", still has that huge hitch. He always has, and always will be able to hit BP "fastballs" for home runs, but it really will be visible when he has to try and adjust to off-speed pitches. 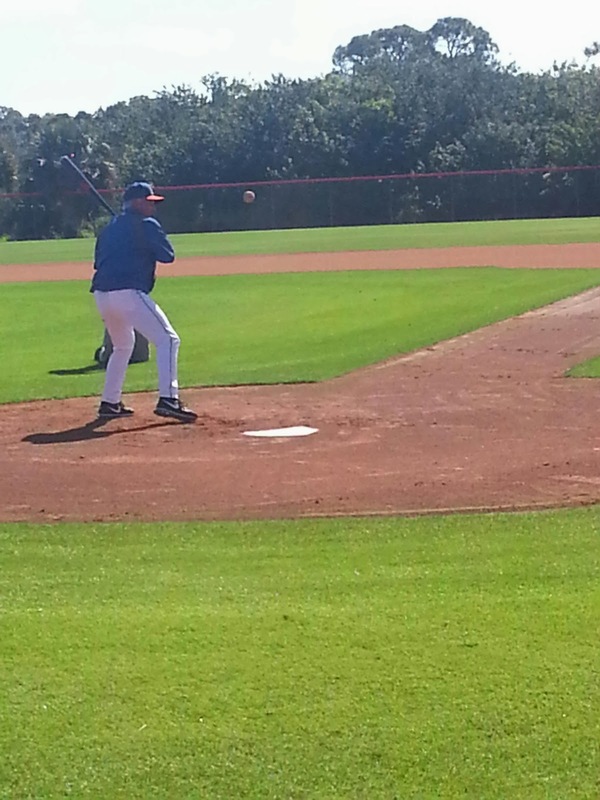 I prefer L Duda's swing a lot better than Davis right now. Those are some of the quick hits, if you have any specific questions on players, let me know. Getting ready to warm up. First day he's been outside with the pitchers, just warming up. Doubt the common fan will see him throw today, but if that changes, I'll be sure to let you know. Another beautiful day in port st Lucie! Ripping line drive comebackers and one hops to the pitchers. 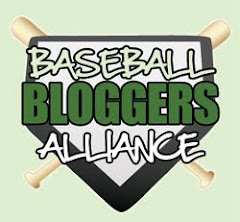 For all who still follow this blog for some reason, you will be rewarded over the next couple days, as I'm down here once again. I didn't take any cell phone pictures today, but will post some throughout the rest of the week. Couple highlights from today, although it was a slow day. 1) Terry Collins is very excited about the potential arms in the bullpen to a couple fans, specifically naming Jeff Walters (Binghamton closer from last year), Farnsworth and Valverde. 2) In regards to Valverde, TC said he called Leyland to ask what was the story with Valverde, and he said Leyland took the blame, saying he overused him. 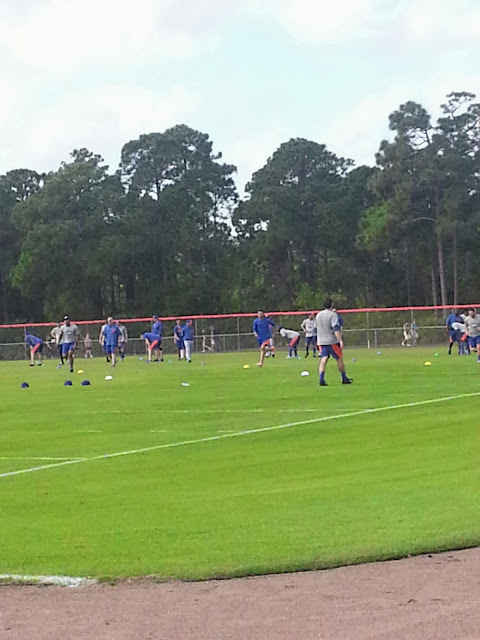 3) I saw David Wright, Ike Davis, Lucas Duda and Josh Satin take bp, with nothing that impressive to note. 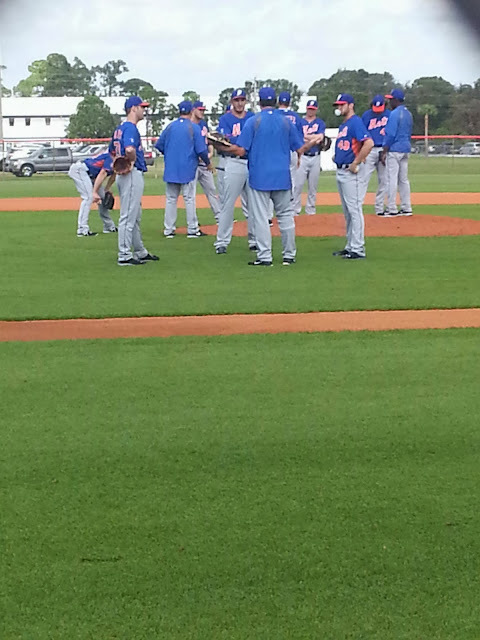 The next group was the hard hitting Eric Young Jr., Ruben Tejada, and then Chris Young. 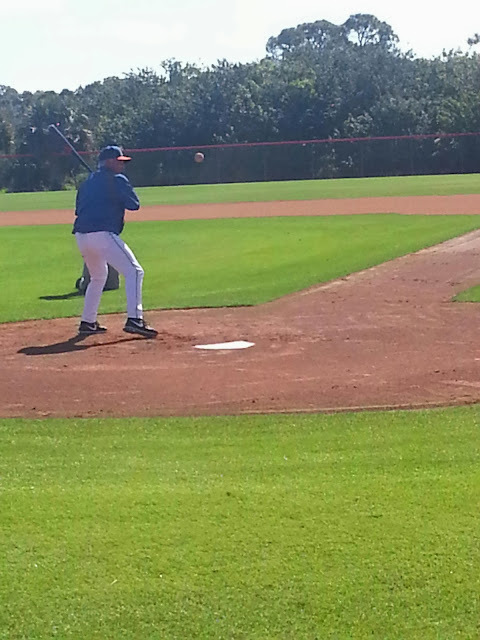 Tejada looks slimmer than he did in years past, but still soft hitting. Chris Young did make loud contact, but not sure if that was just because EY and Tejada did nothing. 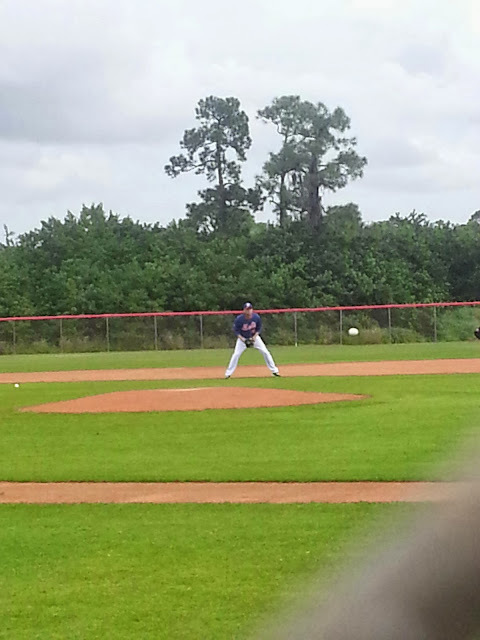 4) Z Wheeler threw a bullpen which the common fan can't tell results, but his mechanics were free and easy. 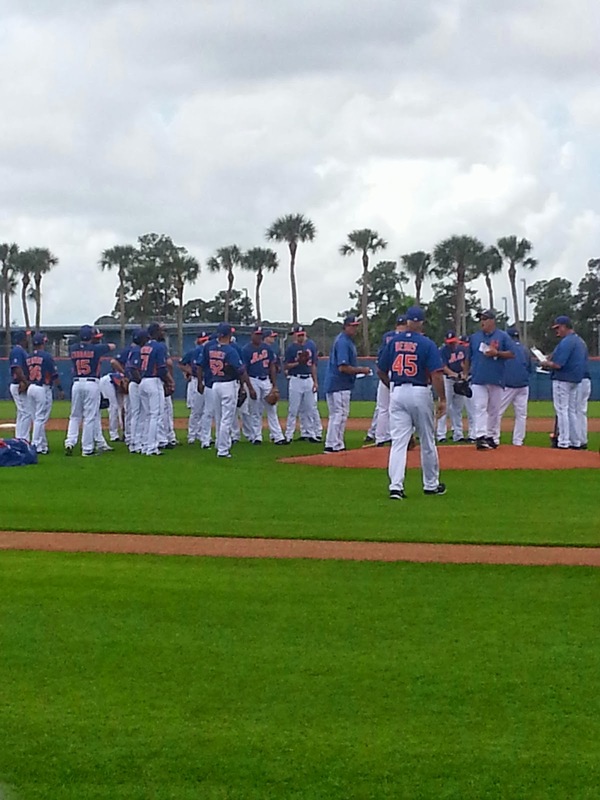 5) Bartolo Colon is very wide, but I don't think I'm the only one reporting this. 6) Pitchers were performing PFP's, with nothing too exciting to report. If you have anything you want to specifically want to be reported about just let me know. I know the blog ceased to exist last year, and not sure how consistent I'll be posting this year, but on the train to citi for one of my favorite days of the year, so I figured I'd say LET'S GO METS! My official prediction for the Mets wins this year is 70, but it still doesn't take away from the excitement of today. As far as my overall baseball predictions, here are my division winners: Tampa bay (92-70), Detroit (95-67), Texas (90-72), with angels (89-73) and Toronto (88-74). Nl: Washington (100-62), Cincinnati (94-68), san Francisco (90-72), with Atlanta (98-64) and st Louis (90-72). That was one of the most improbable series sweeps that I can recall, but boy was that fun! It had shades of 2006, especially when all the "fake Phillies fans" would leave early/not even show up to the games. Let's enjoy this while it lasts Mets fans, and heck, maybe they can make this a very interesting summer. I don't believe it, but I hope I'm wrong! PS I'll be at the game on Monday when they return home, let's try to get a decent crowd there to show our support of this team/recent success.